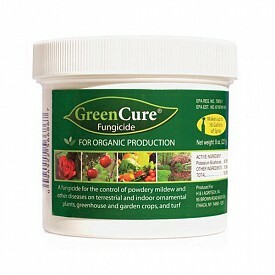 Unlike many fungicides, GreenCure is not a toxic chemical. Its active ingredient, potassium bicarbonate, is commonly used in food products and is “generally recognized as safe” by the FDA and is seen as an alternative to other fungicides by the EPA. Be the first to review “GreenCure” Click here to cancel reply.